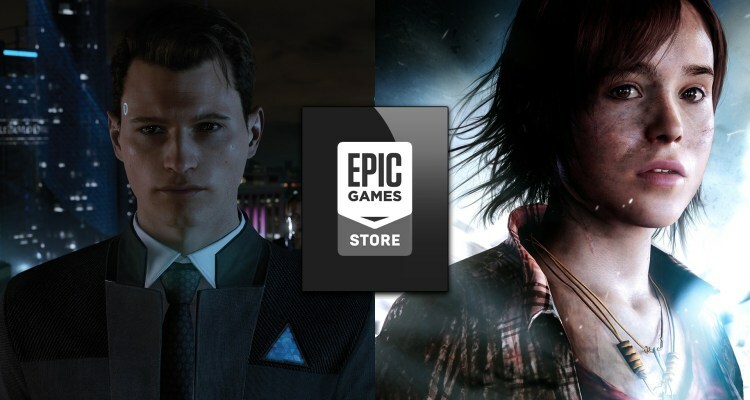 A few moments ago we reported on the leaked details of exclusive launch of Heavy Rain on the PC platform through Epic Games, but now officially, Quantic Dream not only officializes these rumors, but also announces nothing less than the launch of Beyond: Two Souls, Detroit : Become Human, Heavy Rain on the PC platform, completing the catalog of studio games that abandon exclusivity with PlayStation. “We are very grateful for the 12 fantastic years of collaboration with Sony Interactive Entertainment and all that they have allowed us to create and produce. With this new partnership with Epic, we can now expand our products to a wider fan base, and allow PC gamers to enjoy our titles, “ said Guillaume de Fondaumiere, co-CEO of Quantic Dream. The three announced titles will remain tied to a temporary exclusive with the Epic Games store, one year long, as happened with Metro Exodus. Although there is no release date for any of them, it should be remembered that another of the exclusive Sony that come to the PC platform will be Journey, announced with the launch of the Epic store.